I just LOVE it when my annual Back-to-School Fiesta series kicks off each year because that means I get to share with you incredible giveaways, opportunities, discounts, and new tools that are available for families and educators who are headed back to school. 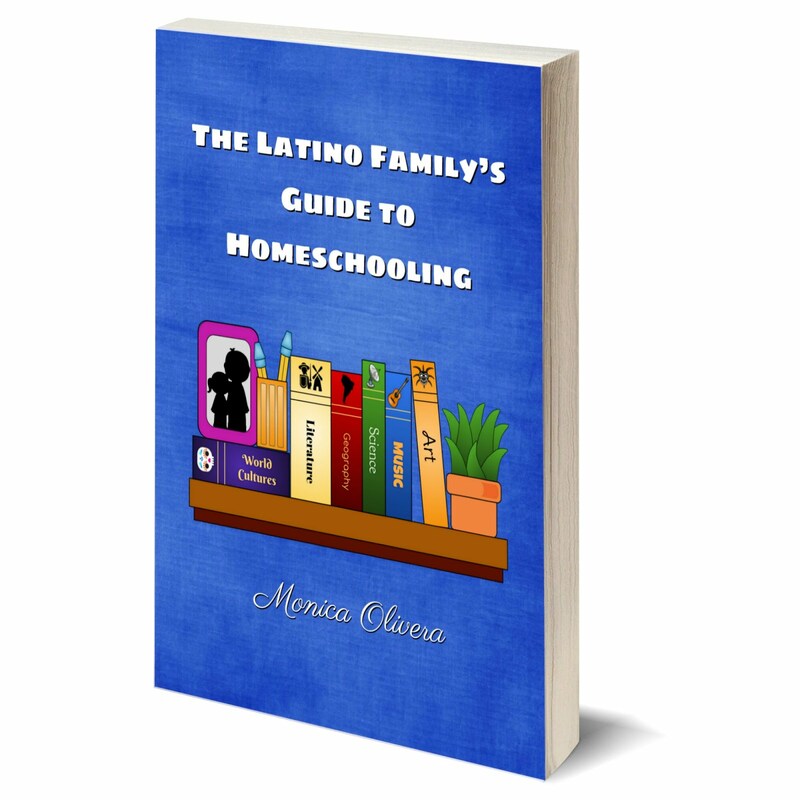 Already I've had numerous emails from homeschoolers AND educators asking me about Spanish curricula that they can use this coming year. If you've been wondering the same thing, then today's post is for you! 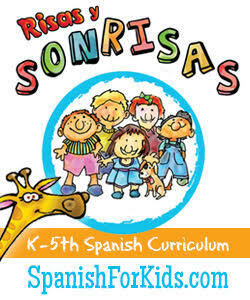 Risas y Sonrisas is a fabulous MommyMaestra sponsor and they have graciously agreed to giveaway one of their comprehensive Homeschool Curriculum sets to a MommyMaestra reader! You can read my review of their excellent program here. 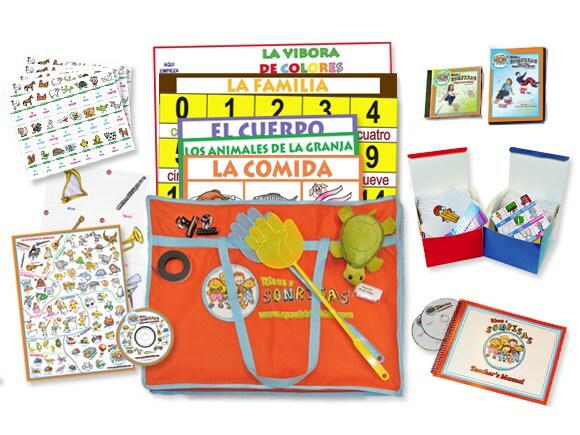 If you are already convinced that this is the program for you and you don't want to wait to see if you've won this giveaway, then here's another gift from Risas y Sonrisas: get free shipping on your order with the coupon code, READYTOLEARN. 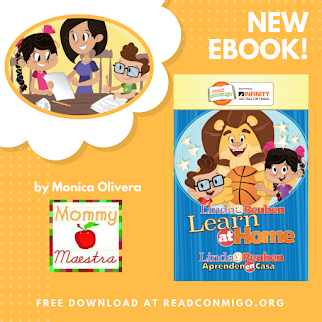 And you're interested in purchasing the Complete School Program, Risas y Sonrisas is offering MommyMaestra readers a 20% discount (school program only - sorry, no free shipping)! It comes with a one-year interactive online program for teachers to use in the classroom. Just enter the coupon code, SCHOOL20, when you place your order. To learn more about their Complete School Program, click here to visit the Risas y Sonrisas website. To enter to win the Homeschool Curriculum, simply enter the Rafflecopter below! Thanks for sharing such great resources. I always look forward to reading your posts. I want my children to learn Spanish for so many reasons! Understanding other cultures, travel, brain development, helping others, appreciating differences, having fun, etc. This is my favorite time of year on your blog too! ;) Thanks for all the hard work that goes into it! I've got my fingers crossed to win something this year!!! Thank you for the opportunity to participate in this giveaway! I want my children to learn Spanish so they can understand their own roots, culture and history. Knowing Spanish will help them navigate other different cultures, worldviews and empower them in whatever career they ultimately pick. We really enjoyed this program last year in co-op. I'm looking forward to continuing on in the fall along my boys and more friends! 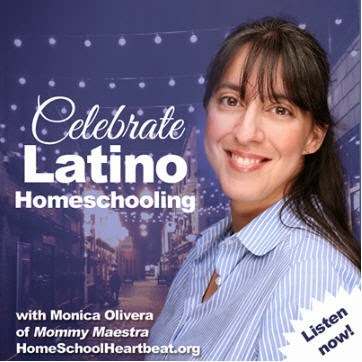 Love this program, and would love to share a homeschool kit to my niece that has 2 little ones and expand her Spanish as well. She is stay at home mami, and has been wanting to teach her girls some Spanish. However, I think with all the contents it contains, it would be a big plus to learn with the songs, signing and all the picture cards. The games would be fun for them to learn and play. I want my daughters to learn Spanish because I know it. It is a skill that I want to pass onto them to enable them to communicate with speakers of the Spanish language. I love, love your back-to-school giveaways!!! 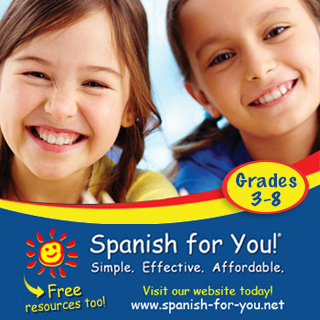 I'm excited about this program since it will help give my son more structure in his Spanish learning. Gracias! Spanish is the language of my husband's family. It is also a wonderful tool for evangelism! We live in Florida and I would love for my children to be bilingual. I would love for my kids to learn Spanish so they'll understand and can communicate with other Spanish speaking people. Thanks for the giveaway! I would like my son to learn Spanish, it is such a gift.